Skip the line and rock your pizza party with Shakey’s NEW Promos for October 2018! Kick-start your pre-holiday food adventure with a delightful treat that won’t break the bank. 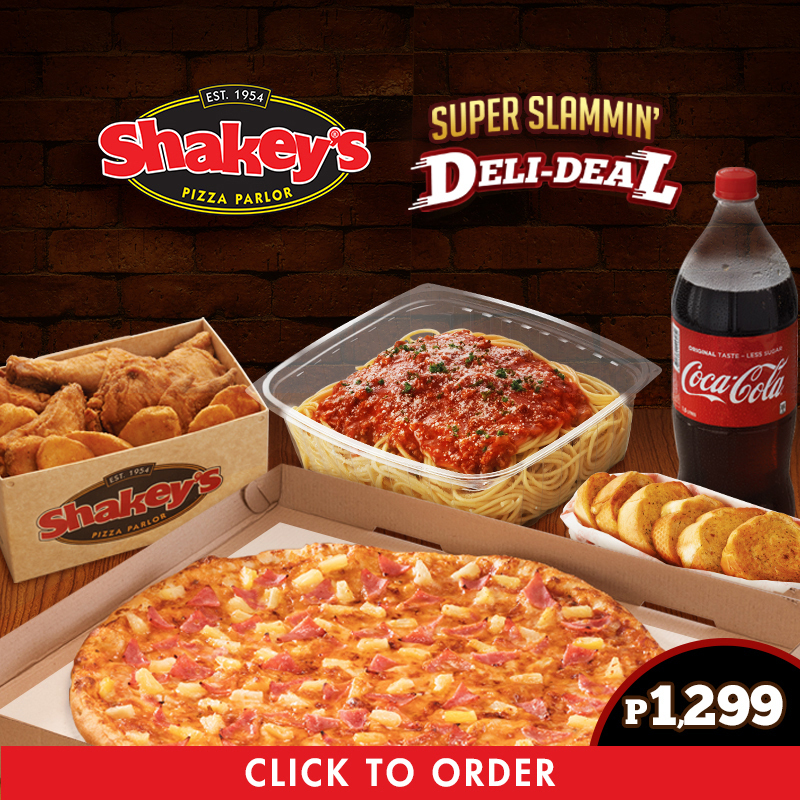 Bring an exciting explosion of flavor at home or work with Shakey’s NEW Promos for October 2018. Tickle everyone’s taste buds with an exciting line up of promotions and deals only from our favorite pizza restaurant. You may place your order now via Facebook Messenger or via http://bit.ly/OrderSuperSlammin. You may also use the Shakey’s Mobile App or call #77-777 TOLL FREE for Globe & TM subscribers, 77-777 for Metro Manila, 254-777 for Cebu or 222-777 for Davao. Celebrate this month with loud cheers! 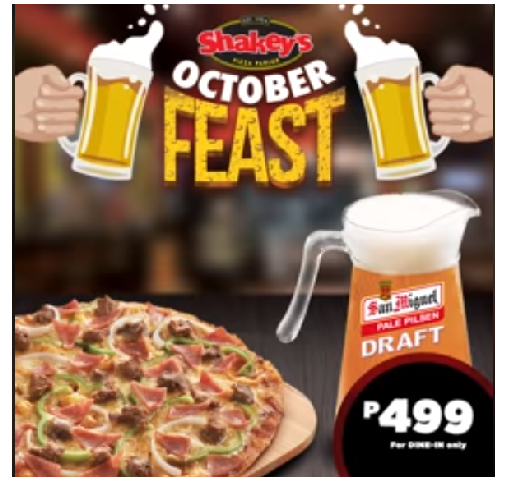 Revel in beer’s perfect pairing, pizza with the Shakey’s October Feast! Get a Large Thin Crust Manager’s Choice pizza with a pitcher of San Miguel Draft Beer for only Php499! 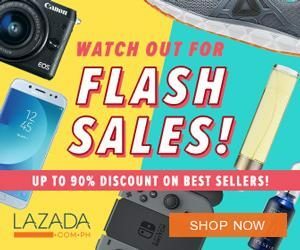 Imagine a a whopping savings of Php309? The promo is available only on weekdays from October 1 to 30, 2018 and exclusive for dine in guests only. 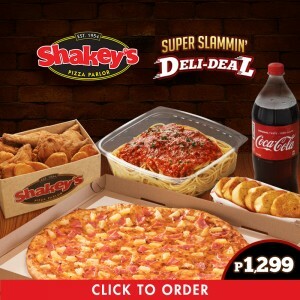 SHAKEY’S FREE SUPER BUDDY CARD PROMO! Get a Super Buddy Card for FREE when you buy a SuperCard from October 1 to December 31, 2018. Not only that, you can also get free Soup Coupons- all for the same price of Php499. Please note that the Super Buddy may not be sold separately or on its own. Super Buddy should always be released together with its mother Supercard.